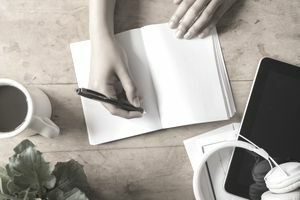 An op-ed is an opinion piece (usually in a newspaper) that a freelance writer may need to write on behalf of a client, such as a nonprofit or business. The op-ed is a chance for the organization to garner positive publicity for themselves and to perhaps sway public opinion about an important issue. It is one kind of article that freelance writers who specialize in journalism writing or PR writing may find themselves producing. The op-ed is usually longer than a regular letter to the editor. It is often written by a subject matter expert and is an example of an instance when a freelancer produces copy as a ghostwriter under someone else's byline. In addition to a freelancer writing this on behalf of an organization, opinion pieces are frequently written by a publicist with writing skills within the organization. An op-ed can also be written by an employee, such as a staff writer. These opinion pieces are relevant articles written to address a piece of news or in response to another opinion expressed in the newspaper, or, online. For example, new immigration laws may push nonprofit immigration advocates to write an op-ed article in favor of the new laws. An op-ed can run anywhere from 300–700 words, and most often a biographical paragraph or two accompanies the piece, which lends credence to it. Depending on the news outlet, sometimes a photo of the author accompanies the piece. It will generally be dictated by the client unless you've written for them a long time and are familiar with their opinions. Keep in mind; you need to know what the outcome of the op-ed is and how you want to sway or reinforce the reader's thinking and beliefs. Just like in any other piece of writing, your reader is going to make a decision within just a few seconds whether or not the piece is worth reading. It's a good idea to start with a story that personalizes the issue. However, be brief and make sure the hook is relevant to the issue. For example, if you (or a family member) has witnessed a violent crime and the op-ed supports gun control, you could briefly tell your story. Again, this will sound familiar, because it's true for all writing. The mantra is, know your audience. Think of who reads the paper, who reads that section of the paper, and who reads about the issue you're addressing. It might entail decisions about the kinds of words you use (e. g., technical versus populist), or what kinds of stories you tell. It also means avoiding industry-speak because you don't want to be so narrow-focused you limit your audience too much. As a writer, you know the basics, such as not using passive sentences because you think they sound special. And other rules such as Cut your darling words and stick to one subject. These rules are especially true when it comes to pieces that have to compete for limited space. Don't leave your readers wondering what comes next. Tell your readers to support something, whether it's voting for the candidate in their district that supports gun control or the new immigration laws.